Today, the federal high court siting in Abuja has dismissed Senator Dino Melaye’s lawsuit. 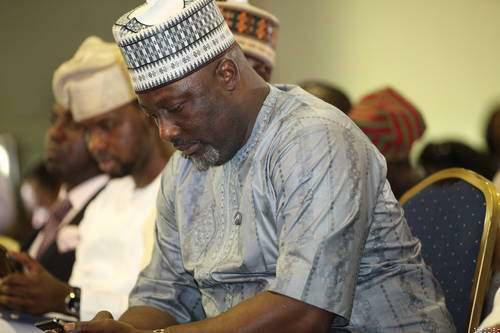 The federal high court challenged Senator Dino Melaye who is one of the senate members who is currently representing Kogi West Senatorial district, about the validity of the process to recall him back by his constituents. The judgment also terminated the earlier ex parte order which was made by another judge of the Federal High Court in Abuja, Justice John Tsoho, on July 6, 2017, directing parties to maintain status quo. Justice Nnamdi Dimgba who was later reassigned the Senator Dino Melaye’s lawsuit ordered that the process shall only proceed with the recall process, subject to the service of the petition, the full list and signatures of persons in support of the recall process.